MANSEHRA: The members of local support organisations (LSOs) at an interactive session on Wednesday highlighted issues and hurdles in the way of bringing down school dropout rate and improving enrolment in eight union councils of the district. The session was organised by Alif Ailaan programme in collaboration with Sarhad Rural Support Programme (SRSP) here. SRSP regional programme manager Shakeel Ahmad, representatives of LSOs, country programme manager of Alif Ailaan Ms Nida and district education officer Sarfaraz Khan were present on this occasion. The representatives of LSOs of union councils, including Balakot, Behali, Sumalli Mung, Bugermung, Parain Khairabad, Kaghan, Ghanool and Hilkot, said that majority of girls and boys schools in their respective union councils were without boundary walls, electricity and water supply. “In most of the schools in Balakot there is a shortage of teaching staff and primary schools are being run by two teachers in two classrooms. The government should appoint more teachers and construct more classrooms,” said a participant. Mr Ahmad said that they would invite the local lawmakers and minister of education in the next session and apprise them of findings of their survey in respective union councils. Speaking on the occasion, DEO Sarfaraz Khan said that many schools destroyed in 2005 earthquake could not be rebuilt. “About 662 schools destroyed in the earthquake some 10 years ago could not be included in the reconstruction strategy,” he said, adding that children were still getting education under makeshift arrangements in these schools. Ms Nida said that according their survey about 7,366 children from age five to 16 years were out-of-school in these union councils. 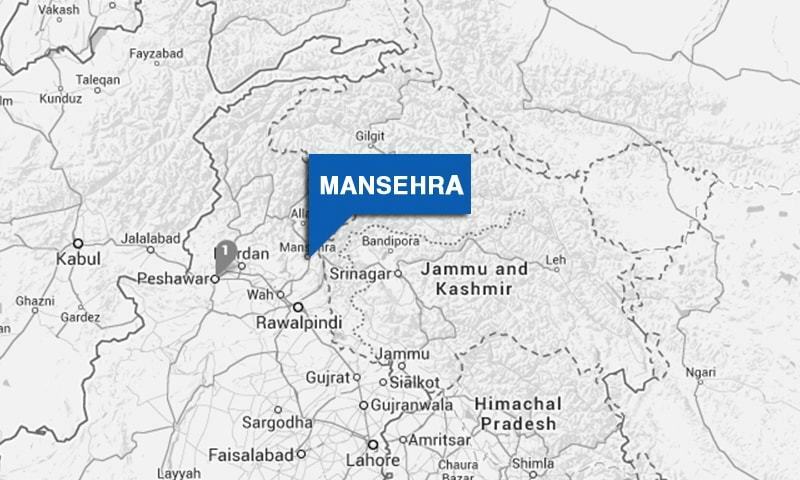 KILLED FOR ‘HONOUR’: A man and woman were gunned down allegedly in the name of honour in Baffa area of Mansehra early on Wednesday. Fazal Wahab and Mohammad Ibrahim after allegedly seeing their relative woman and a local man in ‘compromising position’ shot both of them dead and fled. Baffa police shifted the bodies to civil hospital for autopsy. Javed Azeem while registering an FIR with the police stated that he woke up after hearing gunshots and found his sister-in-law and a man dead in ‘compromising position’. He said that Mr Wahab, who was uncle of his sister-in-law, and her cousin Mohammad Ibrahim had come to their home as guests. Baffa police registered an FIR and have started investigations. In another incident, unknown assailants killed a taxi driver, Dildar Shah, in Dubgran area. Police said that body of Mr Shah was found in his cab near Dubgran area. Saddar police have registered an FIR against unknown assailants.